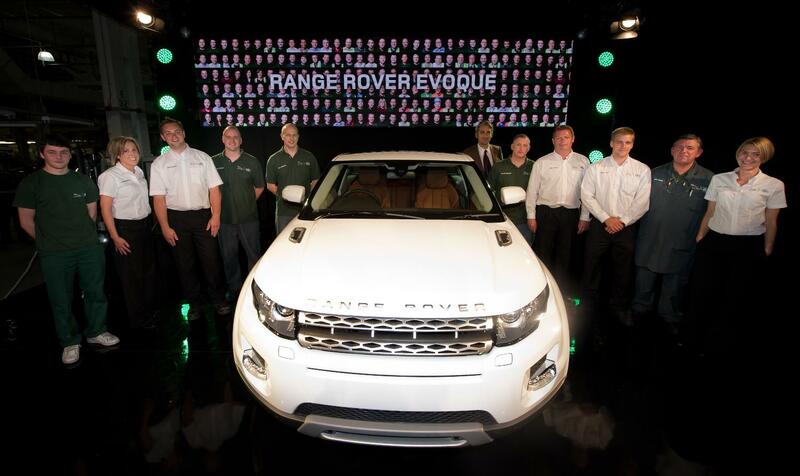 The first Range Rover Evoque has rolled off the production line at the firm's Halewood factory in Liverpool. The first Evoque is a five-door Dynamic model, finished in pearl white and will be donated to the Heritage Motor Centre Museum in Gaydon, as is every new Jaguar-Land Rover product. The manpower at Halewood has more than double as 1,500 additional staff were employed to manufacture the Evoque. In addition, Land Rover will provide the UK economy with £2bn as 40 contracts were handed out to local supply companies. Globally, two-thirds of Evoque sales will go towards the five-door variant, however, Land Rover expects a clean 50/50 split between the bodystyles. The first 20,000 Evoques will be built before bespoke customer-specified models are produced to provide suppliers with an initial stability of orders. Land Rover anticipates the average Evoque customer will be between 30 and 40 years old and around half of all buyers will be female.